The Press Recognition Panel’s (PRP) Board Members were chosen by an independent appointments panel. After an open process of national advertising across the UK, the panel appointed David Wolfe to the role of Chair. He then worked with the appointments panel to appoint the other board members following a second open process of national advertising across the UK. 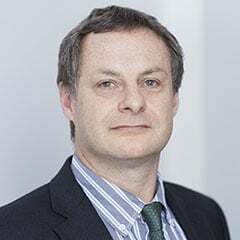 David Wolfe (Chair of the PRP) works as a barrister (QC) helping people and organisations who want to challenge the legality of decisions taken by public bodies and, very often, the Government itself. He was a founding Board member of the Legal Services Board, which oversees the operation of the self-regulators of lawyers and other legal professionals, and also a member of the Board of the then Legal Services Commission. 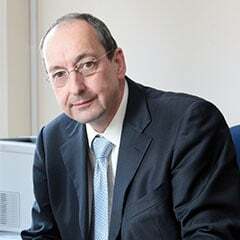 Harry Cayton CBE is the Chief Executive of the Professional Standards Authority, the body which oversees the self-regulators of health and social care professionals across the UK. Harry was previously Director of the National Deaf Children’s Society and then Chief Executive of the Alzheimer’s Society. For five years Harry was the NHS National Director for Patients and the Public at the Department of Health. He is a Trustee of Comic Relief. 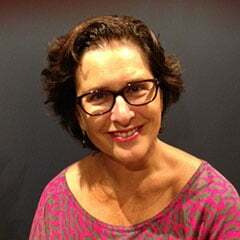 Emma Gilpin Jacobs has worked in strategic communications for over 17 years, much of it advising media companies. Emma is currently Senior Director, UK and Europe at The Pew Trusts. From 2000-2006, she was International Director of Public Affairs for Time Inc. Emma then worked at the Financial Times Group for six years and, from December 2013 to February 2014, as Director of Communications for the Deputy Prime Minister. At the FT, she was Global Communications Director and one of the Executive Board that successfully managed the FT’s transition to digital. Emma began her career in journalism. Carolyn Regan took up the post of Chief Executive of West London NHS Trust in December 2015. Prior to this, she was responsible for establishing and leading the newly formed NHS West London Clinical Commissioning Group. She has held the roles of Chief Executive of the Legal Services Commission, and Chief Executive of a number of major NHS bodies including the North East London Strategic Health Authority, where she took the lead for the NHS in promoting London’s successful bid for the 2012 Olympics. Carolyn is Chair of the Board of Trustees of Just for Kids Law. Harry Rich is a business and not-for-profit leader, executive coach and advisor with particular experience in strategy, innovation and governance. He is a governor of the Glasgow School of Art, trustee of The Open College of the Arts, trustee of the Harbour Foundation, mentor for the Fluid Diversity Mentoring programme and a non-practising solicitor. 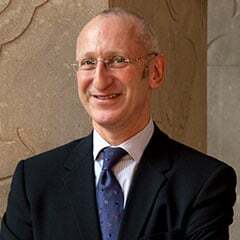 Harry was previously Chief Executive of the Royal Institute of British Architects and of Enterprise UK. He has been Deputy Chief Executive of the Design Council, member of the government’s Creative Industries Council, governor of the University for the Creative Arts, International Board member of the Design Management Institute (USA), non-Executive Director of the Advertising Standards Authority and external member of the Press Complaints Commission’s Charter Compliance Panel.